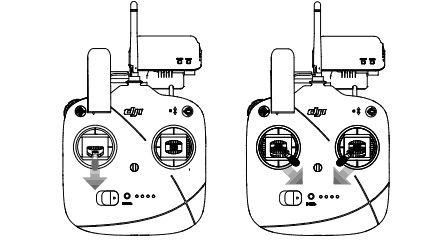 Update: This version of the DJI Phantom line is now outdated. Since the release of the Phantom 2 Vision+, DJI has released newer versions of this quadcopter in the Phantom 3 and the Phantom 4. Although it carries a relatively hefty price tag of about $1000, the Phantom 2 Vision+ sets the industry standard in many different categories. Most notably, live HD video streams right from the camera straight to your smart phone. Other drones are capable of this same type of video streaming, but they require complicated set up procedures. Nothing compares to the ease-of-use, reliability, and high quality camera system of the DJI Phantom 2 Vision+. Every DJI competitor is desperately trying to replicate what DJI has accomplished here. Yes, learning how to fly on the Hubsan X4 107D was a formative experience that will always be cherished. And earning our high-altitude wings on the Parrot.AR Drone 2.0 was a blast. But there comes a point in every droner’s life when it’s time for to hang up the training wheels and run with big dogs. Drone big or go home. Here at Drone Lifestyle, we like to refer to the Phantom 2 Vision+ as the Cadillac of Drones. With unparalleled flight time, handling, and filming capabilities, it is hard to beat the Phantom 2 Vision+. RTF (Ready-to-Fly) and easy to set up, this quadcopter is very simple to get up in the air. As soon as you beat the traffic on the way home from work and rip through the shipping packaging, you can be up and flying in just a few simple steps, capturing breathtaking footage you thought was limited to only the pros. Caution: if you have never flown before, train on the Hubsan X4 107D first! This is the nicest handling quadcopter we have yet to fly. It simply listens to you: it doesn’t jerk, it isn’t sporadic, it just glides…. forward, backward, left, right. It’s like a symphony up there and you’re the conductor. Move the controller quickly and it responds quickly, but all in a controlled and orderly fashion… beautiful. Grab your binoculars kids, the the DJI Phantom 2 Vision+ will be out-of-sight and in the clouds before you know it. If you are within city limits, the Phantom’s navigation system will put a ceiling at 400 ft (the FAA designated height limit), but in other places it can fly as high as a thousand feet. 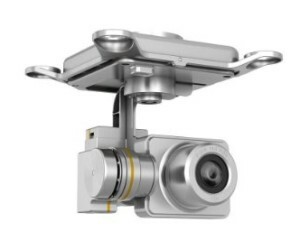 The DJI manufactured camera that comes standard with the Phantom 2 Vision+ is comparable to a Go Pro Hero 3+, capable of HD video (1080/p30 or 1080/60i) and 14 MegaPixel still shots. This high quality camera is attached to a 3 axis gimbal which enables you to get perfectly stabilized footage. The seamless gimbal and camera integration delivers next level footage. Here we are testing out the camera with a quick golf course ‘dronie.’ This was our first flight with our Phantom 2 Vision+. Auto-Return Home: when you are up flying high in the air with your new set of wings, things are bound to get tricky. Fear not. At any point you find yourself out of your comfort zone, all you have to do is toggle a few switches and the Phantom 2 Vision+ will automatically return to where it took off from. Come home, boy! Sit. Stay. It’s as easy as that. Autonomous Flight: some situations call for routes that require a high degree of precision. If you find yourself in such a situation then you would be wise to take advantage of the Phantom 2’s autopilot feature. With DJI’s Ground Station application, you are able to map specific routes and waypoints for the Phantom to fly even before taking off. There’s no shame in autopilot. Even Han Solo used it from time to time! Hover Mode: no matter where the Phantom is, when you let go of the joysticks the Phantom will lock at its current altitude and hold its position. There are countless reason why the ability to hover on command is useful, but the most obvious is the ability to grab video and photos while the Phantom stays perfectly still. Even in windy conditions the Phantom constantly fights to get back to the GPS recorded position you left it at. Pretty amazing! The beauty of the Phantom 2 Vision+ is in its simplicity. The box doesn’t include as much as other quadcopter kits, but it doesn’t need to. When opening the box you will first see the Phantom and the transmitter (4AA batteries included). Slide the quadcopter out of the box and you will notice the gimbal and camera are set up and all ready to go. The kit also includes a Lithium Polymer battery, a battery charger, two sets of propellers (8), a few extra parts for the gimbal attachment, a tool kit, and a range extender with a mini USB charger. This mini USB charger also doubles as a connector from your gimbal to your computer allowing you to upload your footage with no hassle at all. We highly recommend purchasing an extra battery. A 20 minute flight time may sound long, but it’s not! We used to drive out to Red Rock Canyon, which took us about an hour roundtrip. Adventures like these make a 20 minute limit incredibly frustrating. Luckily, there are some great deals on Amazon that include an additional battery. It’s hard to badmouth the DJI Phantom 2 Vision+ because it’s probably the most user friendly quadcopter that you are going to find right now. However, consumer drones and quadcopters are still in their infancy, and even with this elite drone we’ve run into a few problems. The first issue came across concerned the gimbal. In between flying, and uploading some video, something went wrong with the very sensitive machinery. No crashes or anything, and the gimbal began throwing malfunctioning errors! 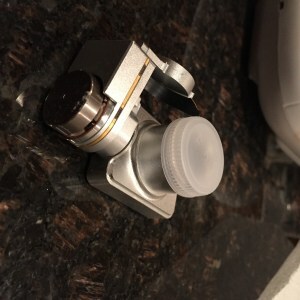 After many hours of digging through DJI forums, we found the answer… a tiny screw needed to be tightened behind a protective housing of the gimbal. So simple, yet so frustrating to find! Be prepared to tinker and perform minor fixes on your new toy, as waiting for DJI repairs can take a few weeks. And we find it hard to wait that long! We’d rather be flying! 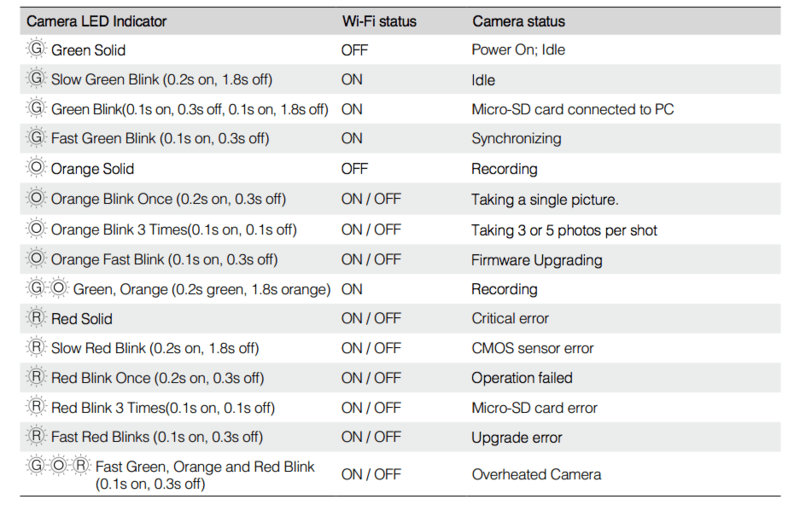 And yes, even though the DJI Phantom 2 Vision+ is equipped with an incredible range extender and GPS capabilities, we routinely find ourselves running into connectivity issues. A lost connection isn’t the end of the world in Phantom land because it simply returns to home, but it is a pain. One minute you could be sailing through the air grabbing the footage of a lifetime, and the next a lost connection will have you on your way home. This really only becomes an issue at higher altitudes and the upper boundaries of the communication field, but it does happen from time to time. The DJI Phantom 2 Vision+ quadcopter gives you the capability to grab professional photos and videos with very little previous experience. The incredible camera and gimbal setup unique to the DJI Phantom 2 Vision+ is truly an elite combination. For something so easy to set up, you will be pressed to find anything that comes close comparing. The DJI Phantom 2 Vision+ quadcopter has become an integral part of our daily lives, and we couldn’t imagine not owning one. It is just way too much fun not to have. The DJI Phantom is a beautiful piece of technology. It’s easily our favorite quadcopter on the market. The only thing is the manual is terrible! I think DJI would even agree with us on this one. It’s hard to understand and the writers did not go into enough detail, so we decided to create one for you! 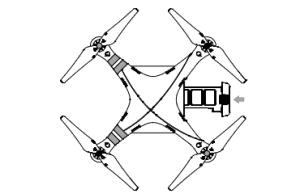 This will allow you get your quadcopter up in the air as soon as possible with little frustration. 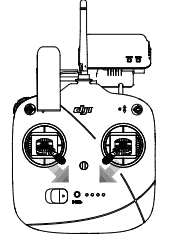 The standard DJI Phantom 2 Vision+ kit includes the quadcopter, two sets of propellers, a lens cap (make sure to hold onto this), a rechargeable battery and a charger, usb connector, spare parts for the gimbal, a tool set, and a transmitter. A range extender and phone clip come attached to the transmitter. First things first: get the battery and range extender on a charger! It takes about an hour to an hour and a half to get a full battery charge. You can setup everything else in the meantime. Next, open two pairs of propellers. Two should be marked black and the other two should be marked silver. Attach them to the motors accordingly. The propellers with the black caps will go on the motors with a black dot and the propellers with the silver caps will go on the motors with no mark at all. All you have to do it place the propeller on the motor and spin it in the direction of the lock symbol. This label can be found on top of the propeller. Next, carefully remove the plastic clip attached to the camera and gimbal. You may want to hold onto this for extra protection, but we decided to toss it. Be careful when handling the camera and gimbal. You want to touch them as little as possible. Whenever you are not flying make sure you keep the lens cap on the camera. One little scratch could affect the video quality. If you ever lose the cap for any reason, don’t freak out. We came up with a simple household remedy! Just dry off a water bottle cap and put it over the camera lens. Then just use a little tape to keep it in place, and voilà! Create an account by entering in an email and password. If you want to make your range extender SSID easier to remember you can change the name. When you go to setup the wifi you will see its named something like Phantom_108563. 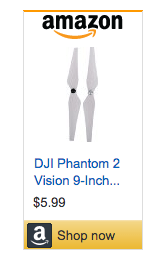 You can change it to whatever you want, such as “Mike’s Phantom 2 Vison+”. This part is totally optional. 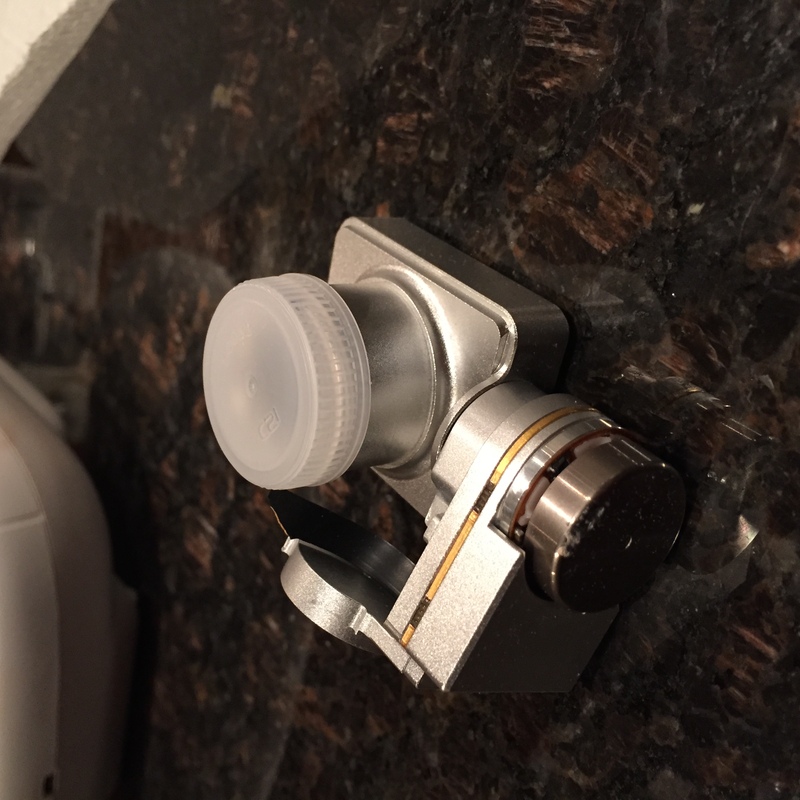 In order to save your video and photos you need to insert the mini SD card into the card slot located on the gimbal. Make sure it clicks into place. You need to remove the lens cap as well. Now that you have a full battery charge and everything is set up on your phone, you’re ready to take flight! It’s important to pick a good location, so avoid areas heavily populated with people, trees, light posts, etc. Slide the battery into place. You should hear it lock in. Press the button once, let go, and then hold the button down for 2 seconds. The Phantom should give off a heavily noise and perform its mini light show. This display will send chills down your spine. If at any point you don’t see the correct lighting listed above… simply turn off your Phantom, range extender, and transmitter. Then start from the beginning. Never start flying if the LED light indicates a fail! Once you see the normal LED light you are ready to fly. Finally! This part may seem a little nerve wracking at first, but don’t panic. Yes, you do have to be very careful during this step because you want to avoid tipping your Phantom 2 Vision+. Just take it easy and slow. You’ll be fine! Gently bring the Phantom down – take your time, do not rush! 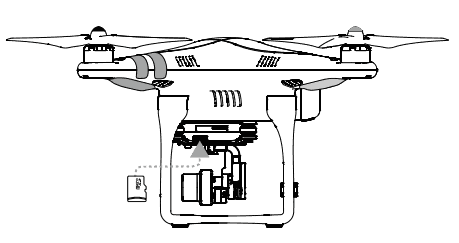 For more information on the DJI Phantom 2 Vision+, the New York Times gives an easy to understand explanation of the DJI Phantom 2’s unique gimbal system. 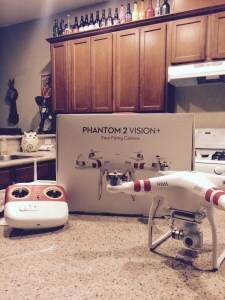 Have questions about our DJI Phantom 2 Vision+ review? Drop us a comment below and we will try to answer any questions you may have about the DJI Phantom 2 Vision+ review. I have had more than my share of problems with my P2V+ and my confidence is a little shaken but I really enjoy flying it. I have flown hobby Heli’s and I’m reasonably familiar with the sticks. I had a fly away early on and busted the camera/gimbel and the landing gear. DJI repaired it under warranty so I’m appreciative of that but when I got it back the camera had a twitch and back to DJI it went. Since then I have had it shut down due to a calibration problem but the Assistant Program fixed that. I now have a problem with the indicator lights. After all the standard start up procedures, the green lights are steady green and not blinking as they should be. It will fly okay but I don’t fly far or very high since something is not right with the flight protocal. In reading your manual, it appears to be with the wi-fi connection. I can take off with green blinking lights land and take off again and the lights are solid green. I also have problems about half the time with Ground Station. I open Google maps and find my location fine but when I open the ap and swipe left the I see the home point indicated but no map, just a grid. Could this also be the wi-fi connection? Any help would be appreciated. Hi, please help, My dji phantom vision 2 plus, landed in shallow water, with the result the camera was under water for about 30 sec. Everything works perfect again, except the camera is blur, maybe due to moister inside the camera ? what can i do to resolve this problem ??? Really! We can not even get COA’s for rural areas and you guys at DJI are flying over petrsdeians on the Strip in Vegas at night. And we wonder why the FAA is nervous about this industry. Yeah, we’ve definitely heard mixed reviews. From personal experience, we were able to get our Phantom 2 Vision+ fixed extremely quick when it flew itself into the ground. Other people have shared similar stories to yours. So it seems like it’s hit or miss… Anyway, we’re sorry to hear that man. I know they aren’t cheap, but we always recommend buying extra batteries. We always do that just in case. It would prevent issues and allow for longer flight time. But we agree, that’s ridiculous! Have you called customer service? You should demand compensation. You deserve it.